Since its founding in 2001, SCFCU has continued to serve its mission to provide resources to meet coffee processing, marketing, and credit needs to support direct export of coffee from the SCFCU region of southern Ethiopia. Today, SCFCU represents 46 cooperatives and over 80,000 farmers, with an annual production of more than 10,000 tons of organic Arabica coffee. Cooperative Coffees bought its first coffee from SCFCU in 2009, and has since developed direct relationships with several member cooperatives, among them Shilcho, Homacho Waeno, Talamo, Bona, Abela Galuko, and Fero. In addition to coordinating coffee processing and export operations, SCFCU provides financial management programs to assist producers in meeting budgetary needs throughout the year. Washed Arabica coffee accounts for 95% of SCFCUs production. Its distinctive acidity and medium body distinguish it from its natural process coffee, which offers lower acidity and a rich, full body. 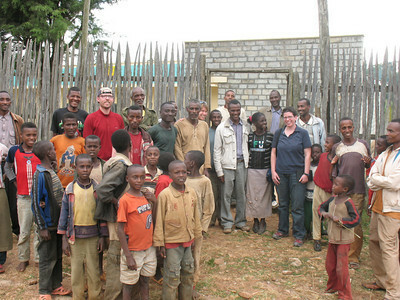 Substantial landscape variations in the SCFCU region of Ethiopia result in flavor profiles with notes as diverse as red fruits, blueberry, and bitter cocoa. Yirgacheffe coffees, grown in SCFCUs higher altitudes, are distinguished by notes of lemon zest and bergamot. The harvest season takes place from September to December, with those at lower altitudes opening the season. SCFCU received Fair Trade certification in 2003.